Ottawa storage can help you out when it comes to sentimental items such as childhood stuff where storage is very important. You don’t want to throw out items and yet you may not have ample storage space available in your home for non-essential items that aren’t used everyday. This is where a storage unit comes in very handy so that you can store your childhood stuff such as year books, teddy bears, clothes and more while making sure that you have the storage space in your home used for everyday functional items. The other advantage of a storage unit in Ottawa is that the climate is fully controlled so you know that your memories will stay safe. If your kids are moving out then it’s a good idea to have a conversation with them and make a plan for their stuff that they may want to keep or things you will want to store for them to have down the road. Or if you are someone who has moved out and you want to make sure mom and dad don’t throw out items you plan to keep for sentimental reasons then it is a good idea to have a talk and decide on a secure place for childhood items storage. One great thing to know about our storage facility in Ottawa is that you can store your photos, clothing and more without worry that they may get damaged because our climate-controlled storage units provide the optimal conditions for storing previous items such as these. With a safe storage unit in mind, the only thing next to do is assess what goes into your storage unit. When it comes to childhood items, there are some things that are clearly evident to keep such as photographs and childhood trophies or artwork however some items will require a conversation to be had before discarding or recycling some things that have been collected along the way. These conversations can be tough and depending on the items and the sentimental feelings it may be very difficult to part with them. It’s important to realize that you can’t keep everything and that the goal here is to prioritize the most important and most sentimental items you want to keep so that your storage unit doesn’t end up full of junk but rather full of your precious childhood items. Self storage in Ottawa is made for these situations where you have items that you do not need immediate access to everyday but you want to hang on to for the future. 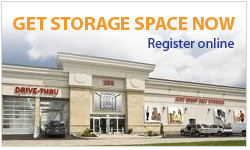 There are a variety of sizes available for storage units to meet all of your needs whether you have just a few childhood belongs to put into storage of if you have several children and maybe even grandchildren’s belongings that you want to keep safe and secure in our self storage facility in Ottawa.